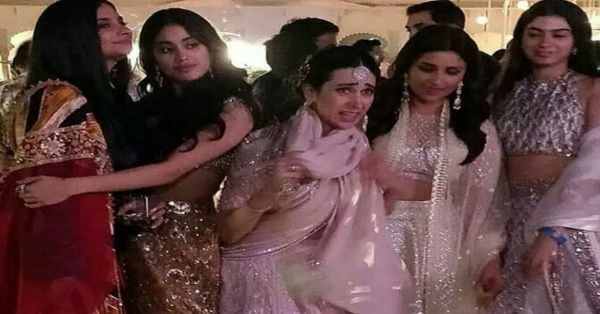 From Nita Ambani’s Dance To All The Celebs, Here’s Everything That Happened At Isha’s Sangeet Last Night! 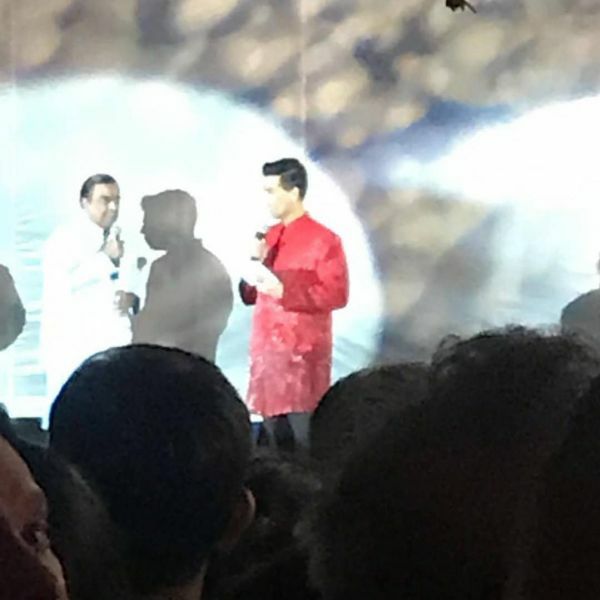 The Isha Ambani-Anand Piramal wedding is the Indian version of the Royal wedding. While their wedding festivities kicked off a while back, the Sangeet ceremony last night was no doubt a starry affair. The whos who of the industry have flown down for the pre-wedding festivities to Udaipur and we cannot help but drool over their outfits. While Rhea Kapoor was dressed in a classic Abu Jani Sandeep Khosla outfit with a classic red gota patti dupatta, and minimal Chandelier earrings, the others rocked their traditional fineries to the best! 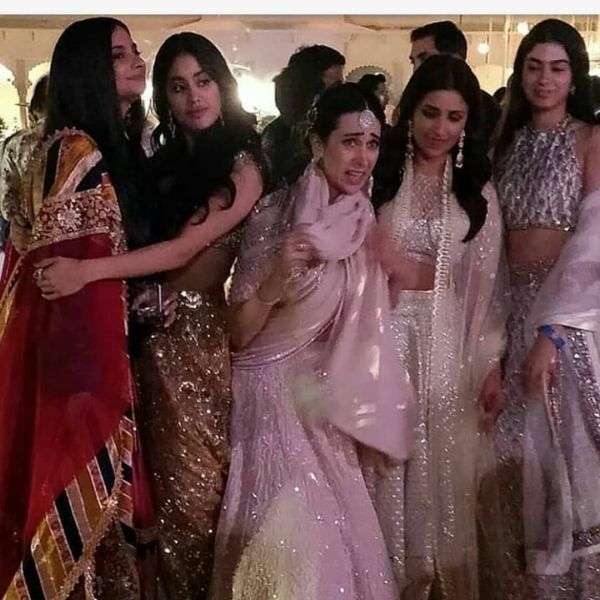 Seen in the frame are Janhvi Kapoor, Karishma Kapoor, Rhea Kapoor, Khushi Kapoor, and Parineeti Chopra. Let us all agree, their outfits look somewhat like #bridesmaidgoals! 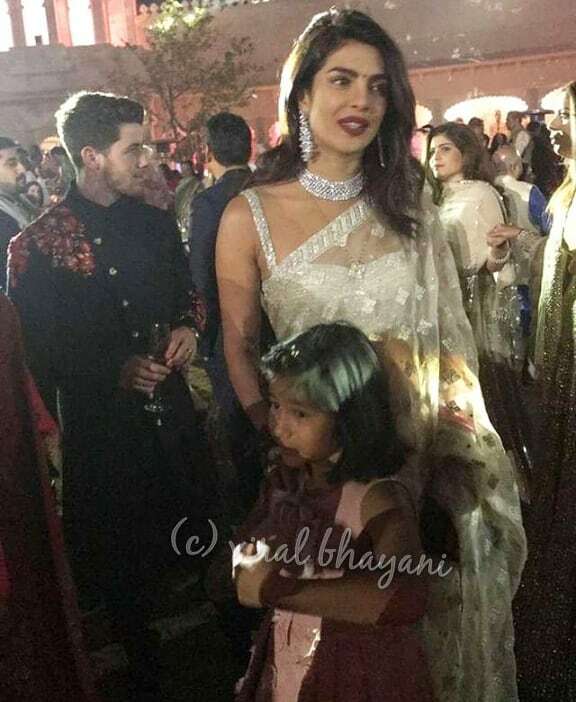 Sakshi Dhoni was seen rocking a Falguni and Shane Peacock outfit like a bawse. Not just the celeb guests, the dance performances were also glitzy affair. Nita Ambani and her sons, Anant and Akash performed too and we are loving it. Meanwhile, the couple took to the stage to show off their love and sizzle the stage! Mukesh Ambani also took to the stage with Nita and look so adorable.